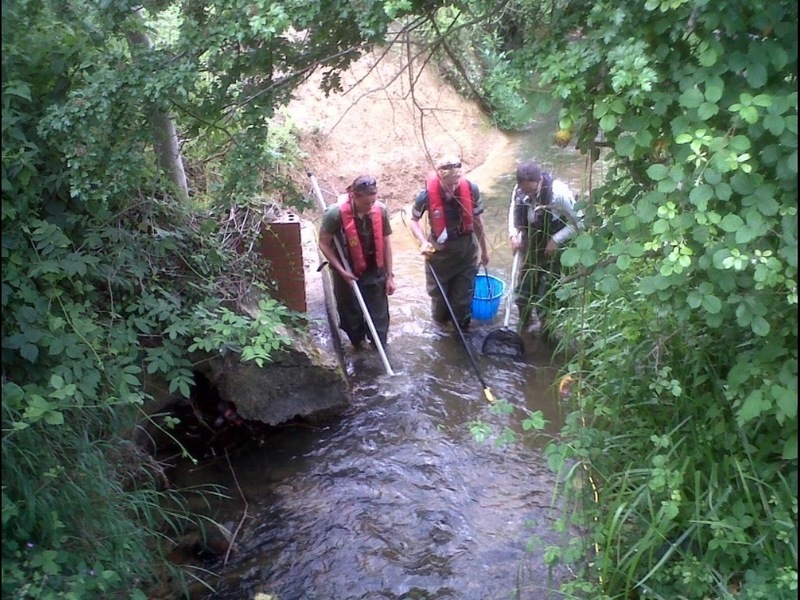 Our fishery folk have been out on the Horsebere Brook in Gloucester undertaking an electro-fishing survey as part of our Fisheries and Biodiversity investigation programme. This was following work at Brockworth, between Mill Lane and the A46, to help address some of the issues that affect habitat quality and wildlife in the brook. 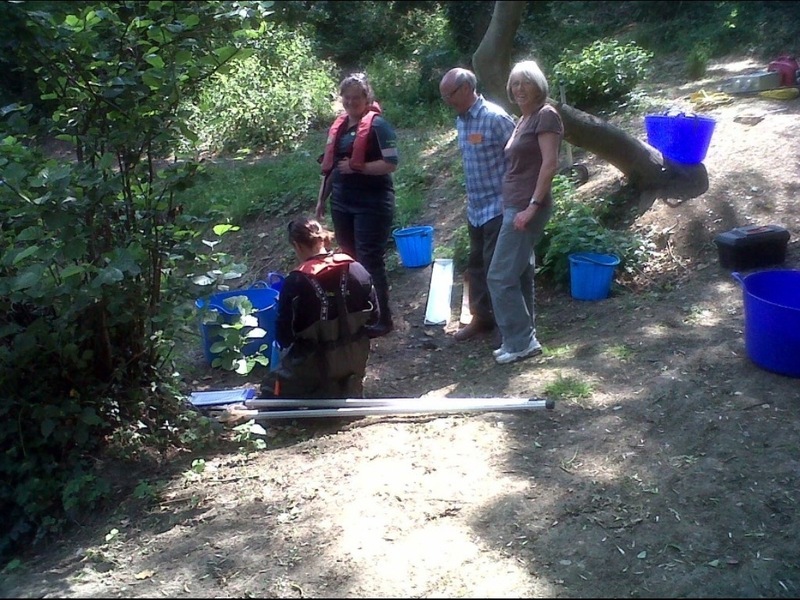 The project manager, Cathy Beeching also invited members of the community and three Brook Wardens were able to attend. 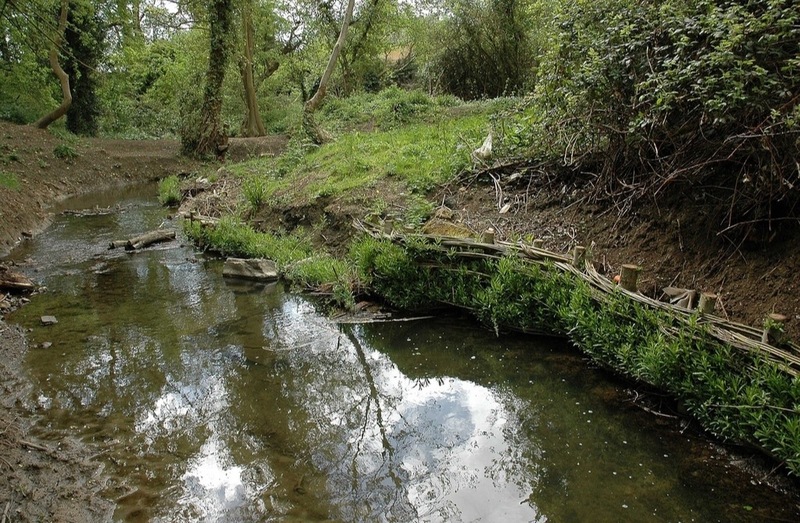 The brook is classified as poor overall for fish, under the Water Framework Directive, due to a lack of some fish species you’d expect to find such as bullhead and brown trout. This is partly because the shape of the river, and its banks, has been changed from their natural state over the years. Channel straightening, man-made banks, tipped rubbish and rubble have all reduced space for water and wildlife. Although the Horsebere Brook is a naturally active and changing watercourse, erosion and siltation has been exacerbated by water running quickly off neighbouring hard urban areas. 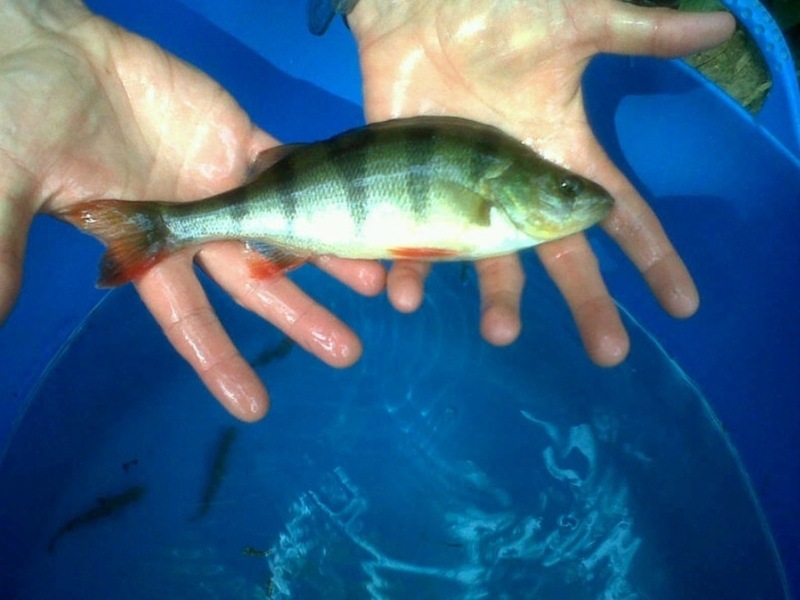 At the three survey locations, some eels, perch and roach fry were caught. 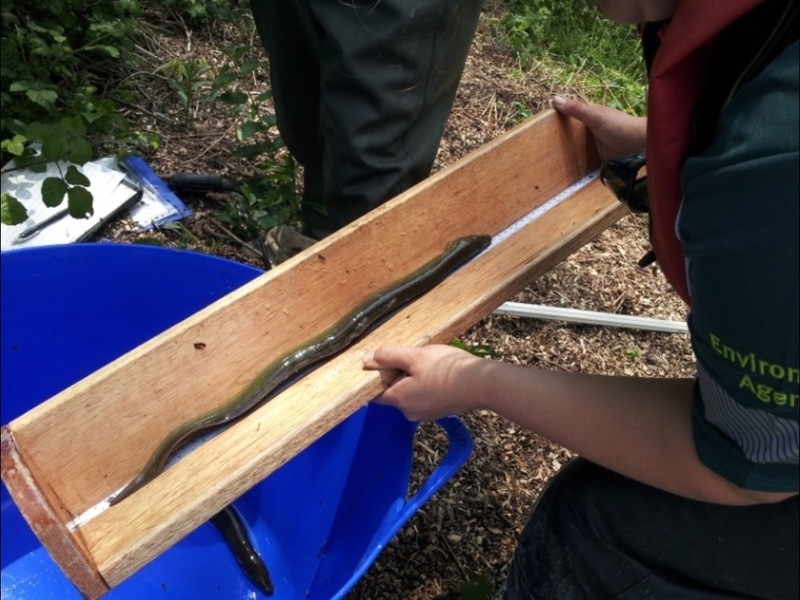 Even two brown trout were found upstream of the habitat restoration site, showing a welcome improvement in fish species. What were the Improvement Works? 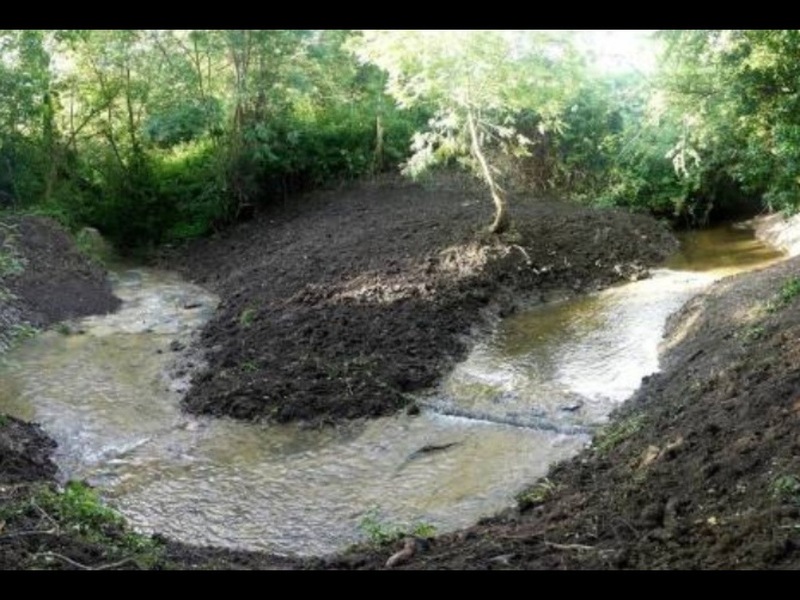 As part of the Environment Agency led improvement works last summer we restored two cut off meanders. This lengthened the brook and created more habitat. One meander bypassed a section of concrete channel, which had scoured out a deep drop in the river bed and blocked fish movement. We also worked with Severn Trent Water to replace two failed and unsightly Storm Water Outfalls. The headwalls, which form the pipe outlet, were set a little further back from the bank, and constructed with more natural materials, to help them blend into the environment and reduce the speed of water entering the brook. 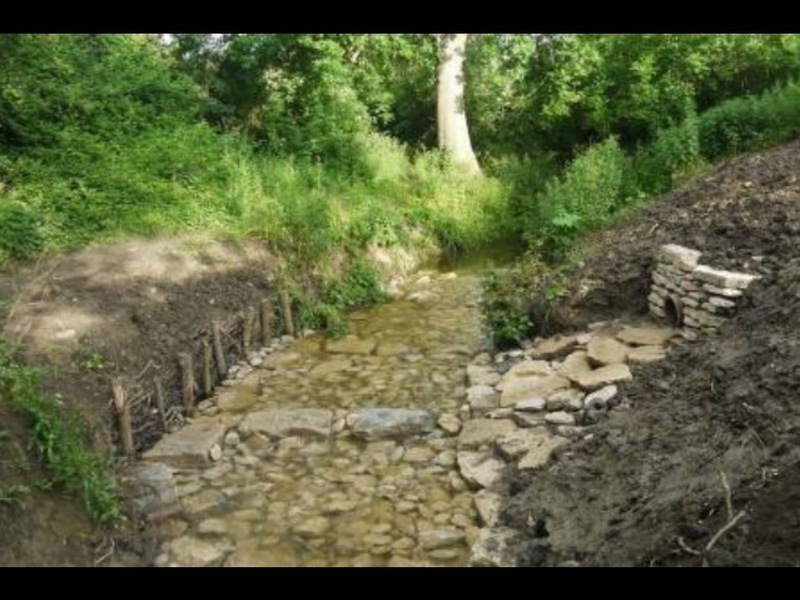 At the same time the opportunity was taken to scoop out the river bank to restore a natural profile and wetland edge, and improve views and access to the brook, including more space for water in high flows. These interventions complemented an ongoing programme of improvements by the local community, with the Parish Council and Severn Vale Housing and Tewkesbury Borough Council, to stop fly tipping, and enhance the brook. We hope that all the volunteers who have planted trees, picked litter, maintained paths and made brushwood bundles for the restoration works will welcome the improving diversity of wildlife in this important urban brook.